When would I want to de-clutter? As a general rule of thumb we should de-clutter on a daily basis, this should be integrated into our cleaning routine, after all the longer you leave to de-clutter the longer it is going to take when you finally come to do it. If you are relocating to another city or even country, for work or personal reasons, or if you are simply downsizing your home, then a thorough de-cluttering will be needed for you. If you are moving to a smaller home it is likely that you won’t have room for all of your stuff, so you might need to halve your belongings, furthermore, when you move your things you will pay more if you have more stuff to move, so why keep and transport things you don’t need or want? If you are moving in with your partner you will find you have more than one of pretty much everything, therefore together you will need to de-clutter and decide what to keep and what to throw away. Can I hire someone to de-clutter for me? 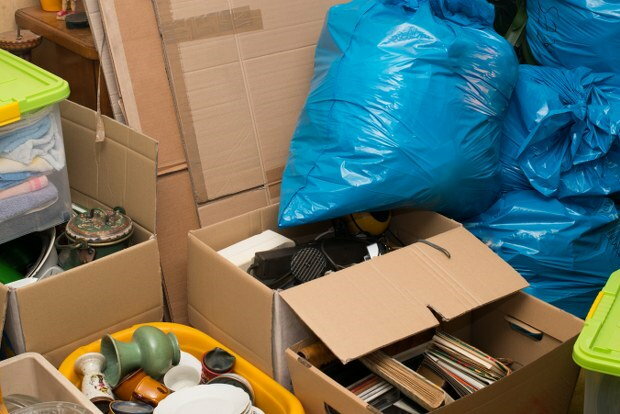 Yes, a number of House Clearance Companies are now offering de-cluttering services to their customers, furthermore, they are also offering the services of clearing specific areas of the home, for example, the attic or the garage. Hiring a clearance company takes out much of the stress of clearing or de-cluttering your home, they are experienced and therefore can de-clutter or clear your home much quicker than you could yourself. If I wanted to de-clutter myself, how could I do that? 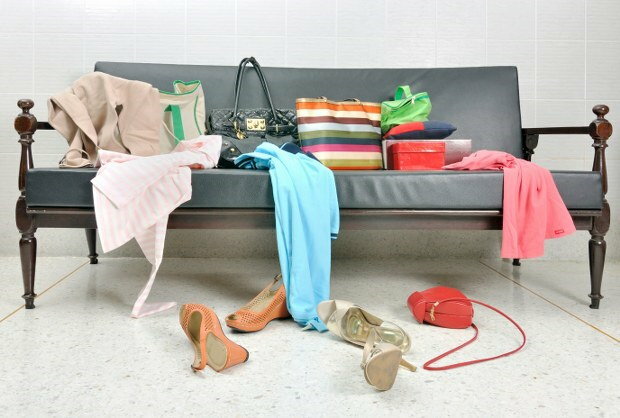 The process itself is simple, de-cluttering is, however, very time consuming, repetitive and tedious. This is why if you can afford to outsource the job, you should. 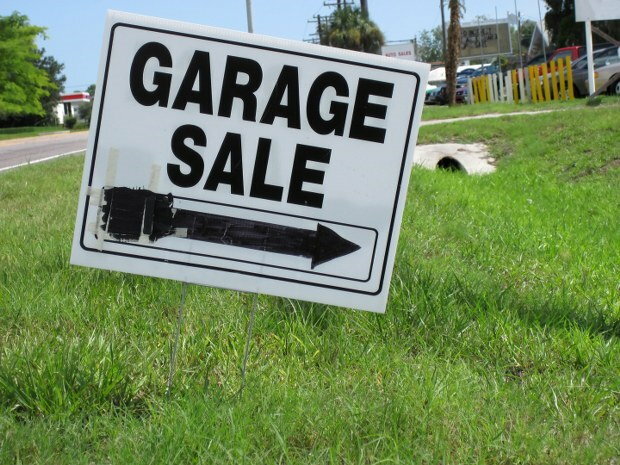 Get a few cardboard boxes together and label them with “to sell”, “put in storage”, “give away”, “recycling”, “rubbish bin”. Pick a room to start with and remove everything from within that room that you don’t want, need, use or like, everything should end up in one of the boxes you have labelled. Whatever you have left in the room is all stuff you want to keep, this should all therefore be stored away, if you find you still have too much stuff you may need to get rid of some more. Once you have finished a room, move onto one of the other rooms in your house until the entire property has been vigorously de-cluttered. Avoid keeping things that you have no use for, try not to be too sentimental, ask yourself when the last time you used it was, and whether you have anything else that does the same job. If something is old and looks like it is going to break soon, and it isn’t essential, throw it away, and if you have more than one thing to do one job, choose between them and keep only one thing. What should I do with the things I don’t want or can’t accommodate? The things that you want to keep, but can’t because you don’t have the room, should go into storage. Ask relatives and friends if they have space to store a box or two for you, alternatively, find a local storage company. 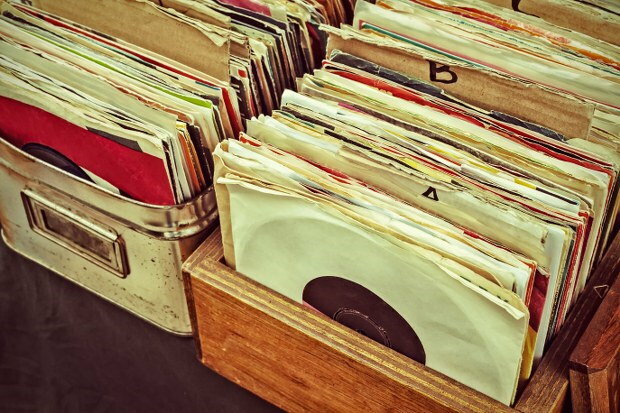 If you have some things that are in good condition and you think someone may like to buy, consider selling these in the appropriate ways, for example any electronics you may wish to advertise and sell any book and CD’s you may want to take to a car boot sale. If you are donating some of your things you can either take these to a charity shop or place them in one of the donation bins which are located in local areas and places like big supermarkets. 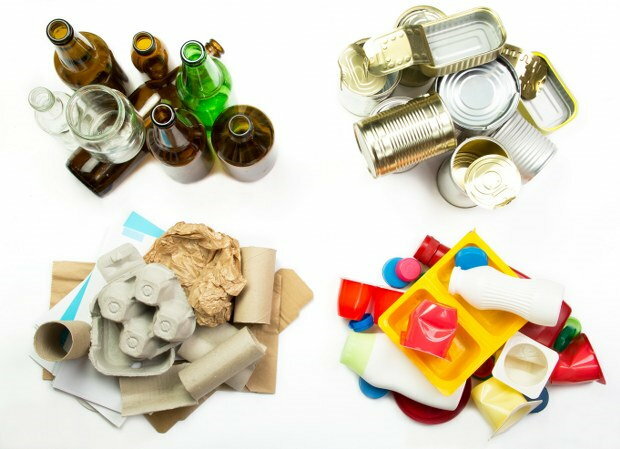 When you are recycling your things remember to separate the items into the correct categories, all plastics should be placed together, as should all cardboard etc. Think about whether any of the stuff you are getting rid of needs special attention when being recycled or disposed of, this includes things like your fridge. All recycling should be taken to a local recycling centre. Getting rid of your rubbish properly is essential therefore take it to a waste disposal centre that is authorised to handle waste.